CTG provides investors with liquid alternative investment opportunities through managed futures to help diversify investments and lower portfolio volatility. 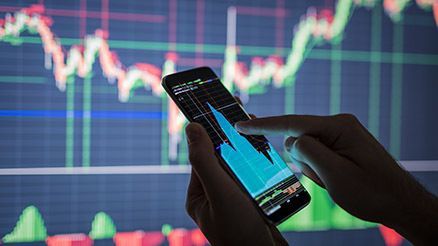 Unlike traditional stocks and bonds, managed futures can provide alternative investment risk management and diversification opportunities to potentially benefit a portfolio. Managed futures are traded in a discretionary account by a Commodity Trading Advisor (CTA). CTAs, CPOs and Managed Futures Mutual Funds have access to a wide variety of global futures products that are liquid and transparent. The CTA/CPO/Managed Futures Mututal Fund community is regulated. Agricultural products such as corn, soybeans, wheat, hogs, cattle, cotton and more. Includes both precious metals such as gold, silver and platinum as well as industrial metals like steel and copper. US and global treasure notes and bonds of varying lengths and types. Global stock indicies including S&P 500, Dow Jones, Russell, Nikkei, Euro Stoxx and more. Trading the world’s currencies from Euro FX to Japanese Yen. We provide a CTA Database so that investors can review and compare CTAs to select the right manager for their investing needs. The CTA database includes background information, trading descriptions, minimums, and performance data since inception. Additionally, we also offer a variety of analytical tools including statistical analysis reports and a portfolio builder. Why CTG for Managed Futures? Capital Trading Group, LLLP (“CTG”) is a Chicago-based investment firm focusing on alternative investment opportunities in futures and options markets around the globe. For over a decade, we’ve provided comprehensive solutions for both investment managers – particularly Commodity Trading Advisors and for professional and individual investors. CTG’s goal is to nurture and build client relationships by providing complete investment information, tools, insight and resources, backed by a superior customer service experience. Work with a unique partner who can provide complete insight into your business, access to potential allocators, and our proprietary technology for analyzing your performance. Resources for managers and more. Check out the CTG blog for trends and insights on managed futures and alternative investing. Still have questions on managed futures as an alternative investment?